The beauty of the image of Mojacar, majestic amalgam of white houses, swirling and hung from the last foothills of the Sierra Cabrera, surprises us direct on arrival. Then once inside the beautiful maze of narrow streets, every corner captivates us and shows us both the intimacy of his past as the most beautiful horizons through their viewpoints. 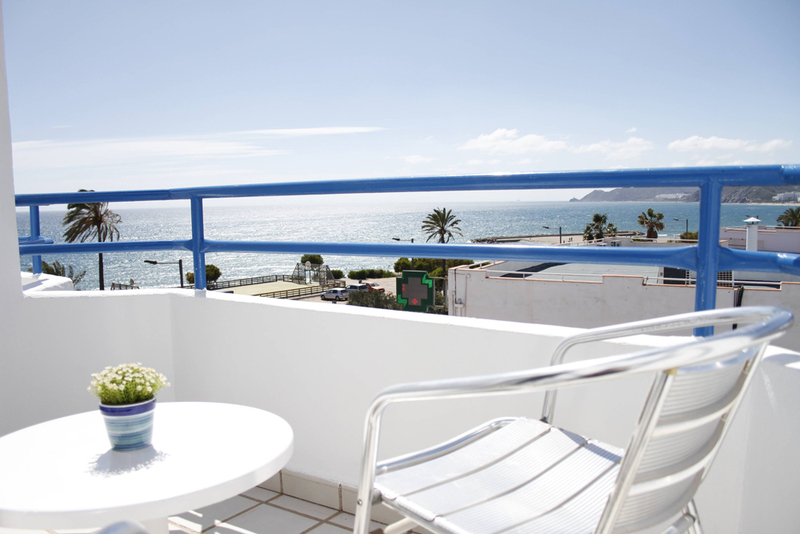 17 kilometers of coastline Mojacar make an ideal setting to enjoy its beaches. Many, awarded by the EEC for quality, blue flag. Practice of water sports, or relax in protected coves, are some of the possibilities offered by the Municipality. The quality of life that gives us the special microclimate of Mojacar, have made it one of the best kept secrets of the Mediterranean. The sunshine, the Mediterranean and the Sierra protective guarantee both winters and summers mild and benign. The modern hotels in Mojacar, in Pueblo and in beach, complete with other establishments or even rural family. To this, add both the restaurants, bars, cafes, shops, leisure facilities etc. such as health services, safety etc. all aimed at the visitor enjoy your visit covering all your needs. Mojacar historic past, hinted at in its walls, attracts us and propels us from prehistory to the twentieth century, in an interesting and informative tour. Mojácar The potential for use in sports are countless. A provision of facilities, is the most recent. In Mojacar sport can be practiced throughout the year. Among them, we can mention the hiking, mountain biking, cycling, horse riding, cycling, golf, tennis and paddle courts, football, surfing, sailing, swimming, etc.. The diversity and quality of the cuisine mojaquera can be enjoyed all year round in the restaurants and bars you can find both in the town and in the area of ​​Playa. Products of the land and the sea, cooked simply, international dishes, along with traditional and elaborate recipes are offered the most discerning palate. Mojacar, quiet and calm, it becomes busy in their parties, in which one guesses their past, their culture and art of the people. Of special note are the Carnival (February), The St. Augustine (August) and the Moors and Christians (June), the latter parties reenactment of great beauty and color. Art, in its many expressions feel a fondness for the southeast corner of Almeria. Its light, its charm, its landscape and the special atmosphere that gives a multicultural society, Mojacar make an ideal place for creation. Proof of this are the many artists who have chosen to live and create Mojacar. Also two major art foundations established here. Since ancient diverse peoples and cultures have inhabited this Municipality, part coveted by all. Mojacar lookout enclave due to its people, its coastline, its mild climate and quality of life now, is a very appreciated. The character of its people are open and friendly, used to share and socialize with visiting finally in many cases becomes a neighbor.